Hell Let Loose isn’t just about infantry, armoured vehicles will play an important part in the battlefield too and if you want to be effective with them, you need to know your stuff! The Crewman is a vital role to drive, command and gun 50t steel beasts into the frontline and tackle the enemy and with this guide, you will learn what you will need to do to be as effective as possible. As a Crewman, you’ll be spending the majority of your time on the front in a tank. Under the leadership of a Tank Commander, you will find yourself either driving a tank or taking control of its armaments. This means that the Crewman role can find itself in two very different scenarios, driving or shooting. Being experienced in both is highly advised, if you lose a member of your unit in battle you could end up having to both drive and gun. A Crewman must be aware of their combat environment, have an astute understanding of what their vehicle’s mobility options are as well as their firepower. Not only that, but a good Crewman will understand the same capabilities of their opponents too. For example, Panthers have heavier armour when compared to their Sherman counterparts, but are outnumbered by Sherman’s five to two. Knowing how to utilise your strengths and capitalise on enemy weaknesses will keep your tank tracks turning whilst your enemies become a smouldering wreck. Fire up your engine, it’s time to get this show on the road! The Crewman that finds themselves in the driving seat of a tank is responsible for the movement of the tank. Generally, you’ll listen to your Tank Commander’s orders on where to go, as well as obstacles to avoid. In the heat of battle though, you’ll have to rely on both your wits and skill to both survive and thrive in battle. Know what you can do, know your limits and watch out for tank traps and mines! Hold ‘E’ to turn on the engine. Once the engine is on, use left shift to move up gears and left control to move down gears. Hold ‘W’ to accelerate. To move from idle you’ll need to be in first gear. As your RPM increases, shift up gears to build speed. If you hit a something or need to go backwards, shift down into ‘R’, which is the gear below Park. ‘W’ will also allow you to accelerate in reverse. When stationary and wishing to keep a low profile, return to Park and tap ‘E’ to turn off your engine. You’ll lose the ability to quickly escape, but the lack of an engine rumble can let you get the drop on enemy infantry at close range. Oh, one more thing. The driver also gets access to a Hull Machine Gun. You can aim this with your mouse and fire with the LMB. This doesn’t have targeting, so you’ll need to use your tracers to track where your shots are landing. 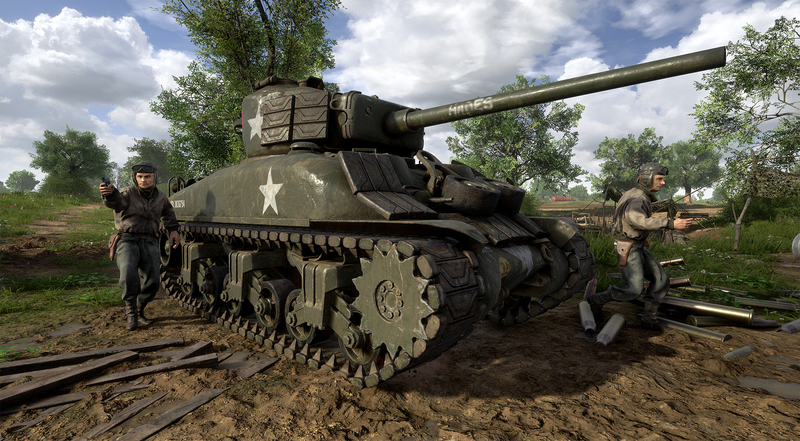 Top tip: If you find your tank damaged or low on ammo, head back to HQ to find a repair station, or ask an Engineer to build one for you at the frontline. Lock n load, you’ve got the big gun! The gunner brings the hurt with the tank’s main gun, as well as a coaxial machine gun. 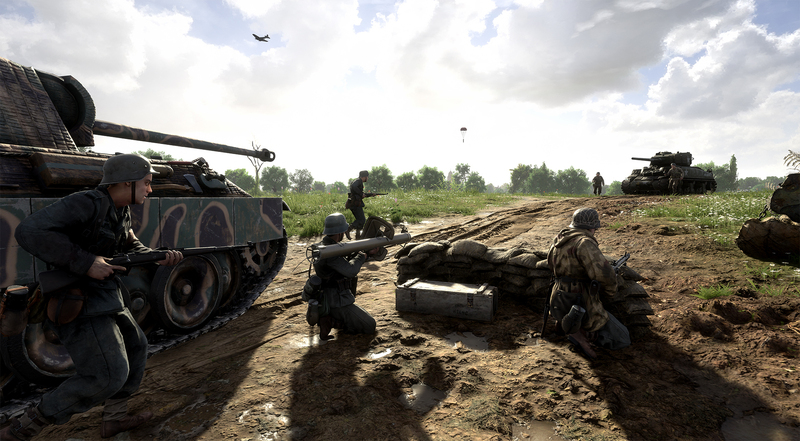 Infantry, tanks and other vehicles are your targets. Where you strike enemy tanks is important, from damaging specific parts to focusing on a kill shot, landing your shots in the right places is of key importance. Load the right round for the job. AP rounds for vehicles and HE for infantry! 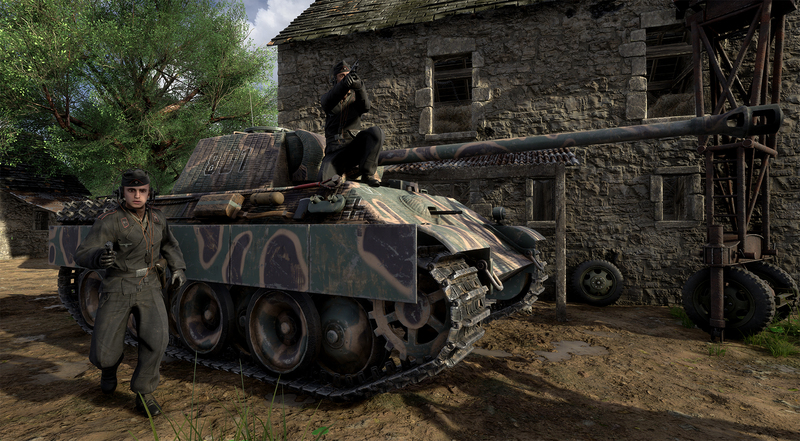 Aim to hit enemy tanks at a flat angle, this will stop shells from ricocheting off the side. Know when to take your first shot, as it will give away your position. Know your weak points! Damaged tracks inhibit mobility, damaged turrets severely limit aiming and a penetration to the side or back will destroy the tank. Top tip: Use the mouse wheel to adjust the magnification of your optic! Hull down: When opportunity presents itself, try to keep the main body of your tank behind cover/terrain, with the turret and as little of the hull as possible showing. This greatly reduces the risk of taking critical damage. Front facing: Your armour is strongest at the front of your tank, it also has the highest chance to score a deflection. In combat, face your foes head on! Greased lightning: Higher gears give you more speed, lower gears give greater turning mobility. Onwards & upwards: Being in first gear will allow you to climb and navigate obstacles that can’t be passed on higher gears. Bullet hell: Use the hull mounted machine gun and coaxial machine gun to suppress enemy infantry. This is particularly useful whilst a Gunner reloads. Shield of steel: Tanks make a great shield for infantry pushing forward under fire. If you see friendly infantry having a hard time, offer to have them sprint behind you as you gloriously shield your team. Together you’re stronger: Tanks are powerful, but alone they can be picked apart by the Anti-tank role. Proceeding through cover heavy areas without infantry support is just inviting yourself to be ambushed. Watch your treads: AT mines are normally found in high vehicle traffic areas. Keep this in mind when pushing down roads or choke points at high speed. this looks so incredible, I already pre-ordered it. are there any new beta test dates available? Not yet, but I’ve seen on their Discord that we might get one at the end of April.